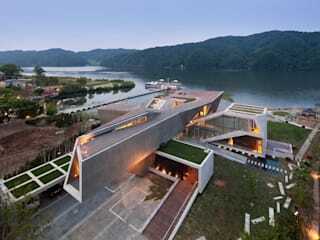 Kwak Heesoo’s is widely known for his collaborative works with top tier clients of the Korean Wave. 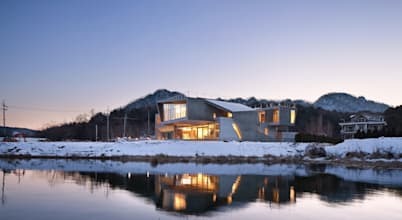 More than ten time award winner of the architectural awards of highest distinction in South Korea, his projects integrate the elements of program vs. facility, mass vs. volume, and structure with his signature concrete mass designs, envisioning new forms that challenge the increasingly individualistic needs of a rising Asian clientele. Arriving on scene after pulling off a hat trick in the top three innovative apartment design competitions, and after being awarded the Young Architect Award of Korea, the highest distinction for up and coming architects in Korea, Kwak paved his way in the public domain as an architect to the stars. 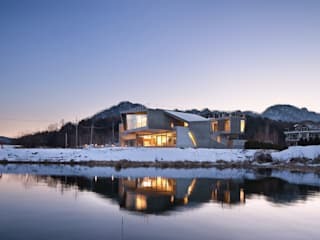 Yet, away from such star-struck success, he has consistently continued with his work as a public architect of Seoul, yielding pivotal works such as Hangang Guardians and FS One. His work as social commentator and satirical comic has been widely exhibited, touching upon the themes of the paradoxical nature of capital-driven fast paced development in Asian cities, and the anachronistic concepts he identifies as prevalent within the contemporary Korean architectural scene. 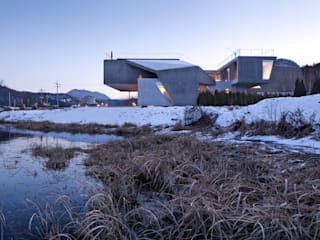 Setting his works within Korea’s bustling, generic and fast-paced environments, flooded with dynamic visual information in the world’s most wired country, his conservative, yet luxurious and custom-made lifestyles are embodied in impressionable and sculptured concrete mass. 이뎀 (IDMM)도시건축이 설계한 경기도 가평의 게스트 하우스 리븐델(RIVENDELL)은 2013년도 한국 건축 문화대상 준공건축물 부문의 우수상을 수상하였다. 북한강변을 뒤로 하고 자리잡은 건물의 모양은 흡사 현대미술의 설치 작품 같은 독특하고 이국적인 모습을 하고 있어 방문하는 이들에게 더욱 특별한 기억을 남겨줄 수 있는 공간이다.